This commented game was played in the internet. I used the “Universal System” which I will introduce later. The idea is, you just learn one opening system that you can play as White and Black and apply it to EVERYTHING that your opponent brings up against you. 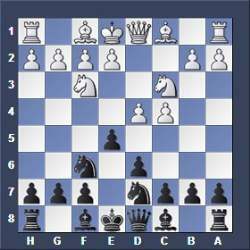 This will save you a lot of time to learn positional chess, which is the real thing, instead of wasting years to learn countless chess opening lines. However, more to that later. 2. 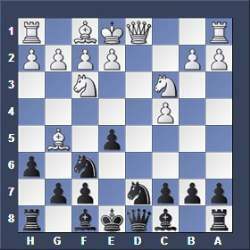 White gives bishop for a knight (BxNf6). 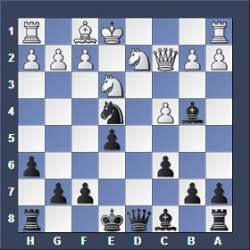 This mistake gives Black the two bishops which are more flexible than a bishop and a knight in open positions like this. 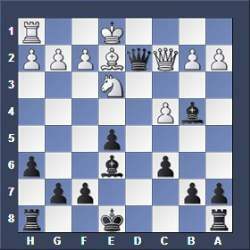 Secondly, it WEAKENS the BLACK SQUARES because the white queenside bishop did control the black squares before, but can’t do this anymore as it trades itself for the knight on f6. White made normal moves and underestimated this opening. 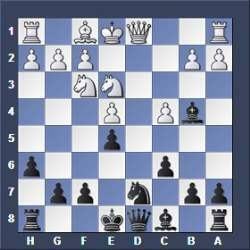 He played Bg5 to start an attack to pin and trade off the knight f6 with the idea to establish his own knight at d5. 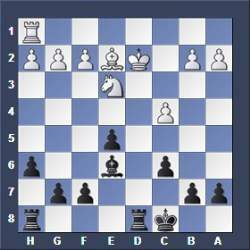 This plan is not working and was not dangerous at all for Black, because the white knight can be driven away by c6 sooner or later. 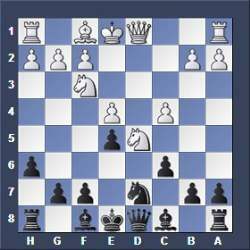 There is no danger for Black. 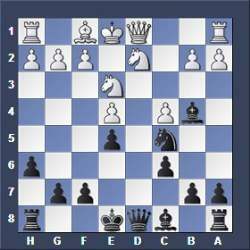 The position just looked bad for Black in the beginning, but that’s it.